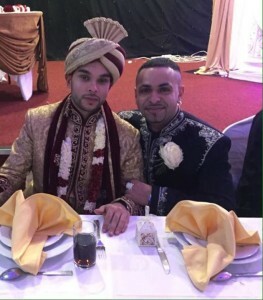 Aziz Catering of Bradford had the pleasure of organising the wedding of Sayed (Shaf) Ahmed at the Mercure of Bradford, one of the most beautiful wedding halls in the North. Also, smart and very friendly staff. All the food served was Halal and HMC approved. We provided welcoming soft drinks for the guests and for the table service. We provided mouth-watering starters: drumsticks. 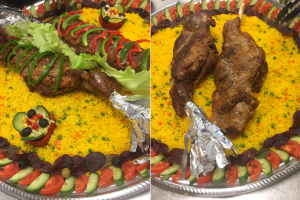 kebabs, veg samosas and two legs of lamb on thaal for the bride and groom. Asian main dishes included meat jalfrezi, chicken masala and mixed vegetables with pilau rice and amazing dessert of Rasmalai. We provided outside catering for Shaf for three days, including his Mendhi.